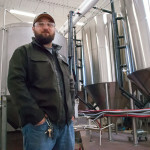 Luke Stier has lived in Michigan his entire life. His name may not sound familiar to everyone in the state, but he is a vital leader at one of the biggest award winning news stations here in the state. The executive producer at WOODTV joined the Grand Rapids area in 2003 after growing up in Michigan’s “Thumb”. Stier moved to Grand Rapids to attend Cornerstone University. 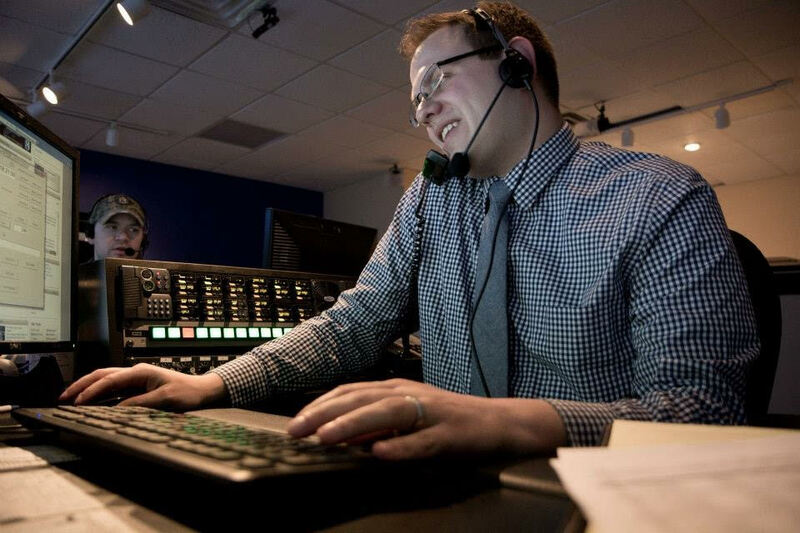 After graduation, Stier found his home at WOODTV, where he has served several roles since 2008. At WOODTV (West Michigan), Stier is currently executive producer of news and special events. Stier oversees the noon, 5pm, and 6pm daily news shows. Stier’s leadership behind several annual special events has been recognized with awards. Earlier this year, WOODTV won the “Station of the Year” honors by the Michigan Association of Broadcasters. This marked the 12th time in 14 years that WOODTV received the honor. Stier’s name was attached to that award and also two of the six category winners. The two awards were won for News Special (Olympic Hopes) and Special Interest Programming (The Artprize 2014 Finale). Stier normally spends his time behind the scenes helping others tell the story. Today he joins us to share his five favorite places in Michigan. Stier tells us he spends all his vacation time during the summer checking out sites across the state. 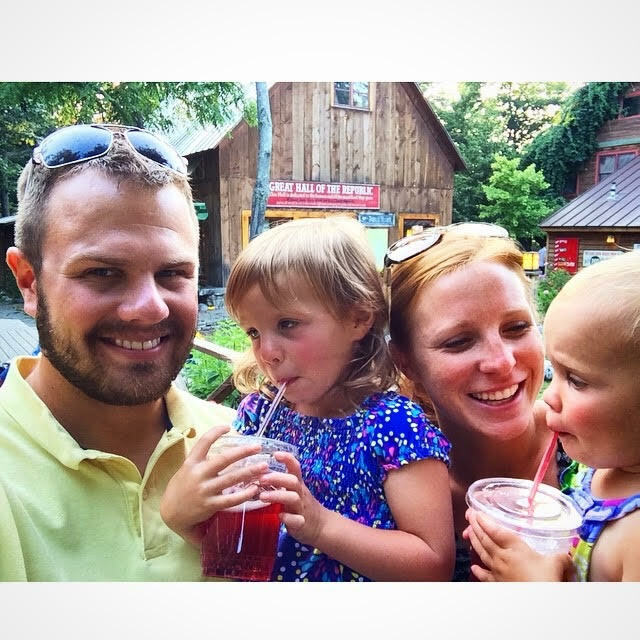 His favorite day is spent with his wife and three daughters at Lake Michigan. 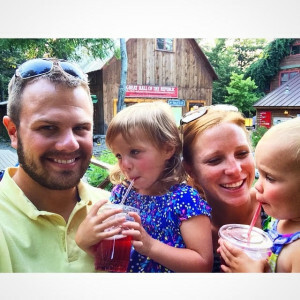 You can follow Luke on Twitter and also follow along the top news stories of West Michigan at WOODTV.com. 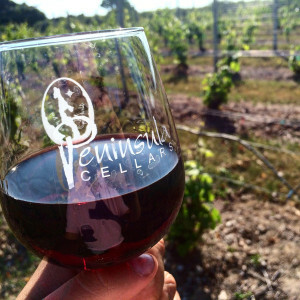 If you enjoy this piece, be sure to check out other guest posts in our my five favorite places in Michigan segment. 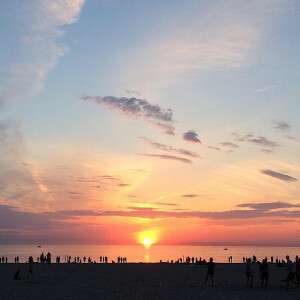 If you want a mix of wilderness, city and beaches – you can’t beat Ottawa County’s lakeshore. Our family loves to take day trips to Kirk Park. The path from the parking lot to the water is paved and short – perfect for carrying umbrellas, towels, snacks and a diaper bag. There’s also a beautiful hiking trail on top of the dune that gives you spectacular views of Lake Michigan. One of the best hikes around is at Rosy Mound County Park. 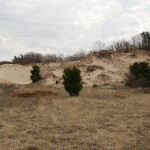 The 30 minute hike takes you up and over a dune, before you arrive at the lakeshore. You don’t want to carry much gear – but make sure you bring your swimsuit – once you get to the lake, you’ll definitely be ready to take a dip. 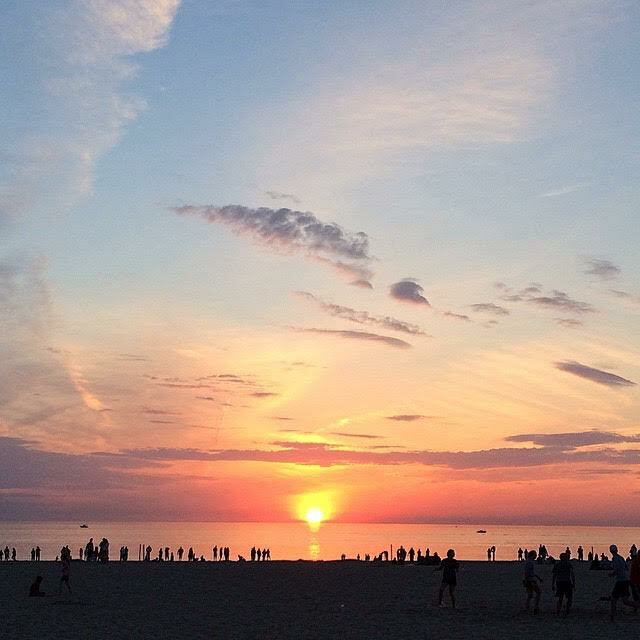 Holland State Park and Grand Haven State Park are two of the nicest beaches in our state. In Grand Haven you are just a short walk along the Grand River to some amazing shopping downtown. 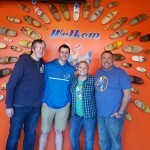 In Holland, it’s a quick drive downtown to some of the best restaurants around (New Holland Brewing, CityVu Bistro & Boatwerks). 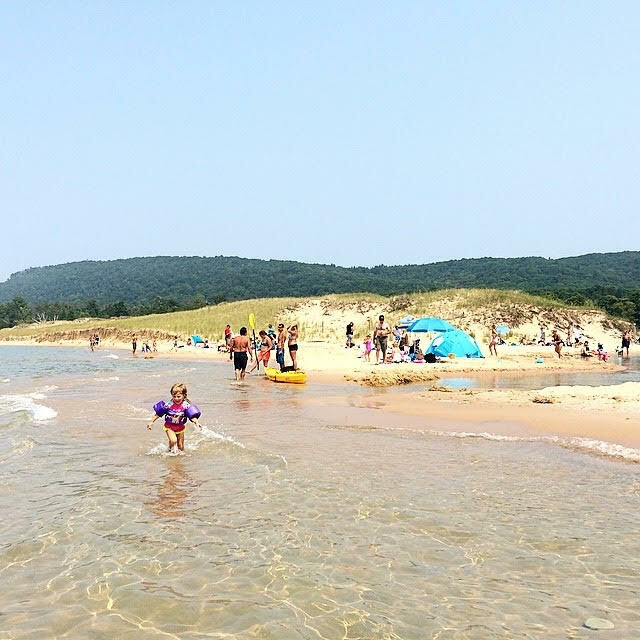 Located right in the middle of the Sleeping Bear Dunes National Lakeshore, Empire is a place you have to visit. There are three amazing beaches: Esch Road, Empire City Beach and North Bar Beach. You can also hike the Empire Bluff Trail, which leads to the best spot in the world to watch a sunset. Downtown Empire is mostly quiet with an art gallery, surf shop and small grocery store that reminds me of my childhood. From Empire you are a short trip away from kayaking the Platte River, shopping in Glen Arbor (Cherry Republic Headquarters!) and checking out Fishtown in Leland. 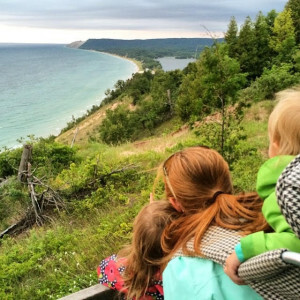 Make sure you bring your bike, the new Sleeping Bear Heritage Trail begins in Empire, and takes you through several miles of the picturesque National Park all the way through Glen Arbor. The paved trail keeps expanding each year. If you only have time to go to one place on my list, I beg you to go to Empire. 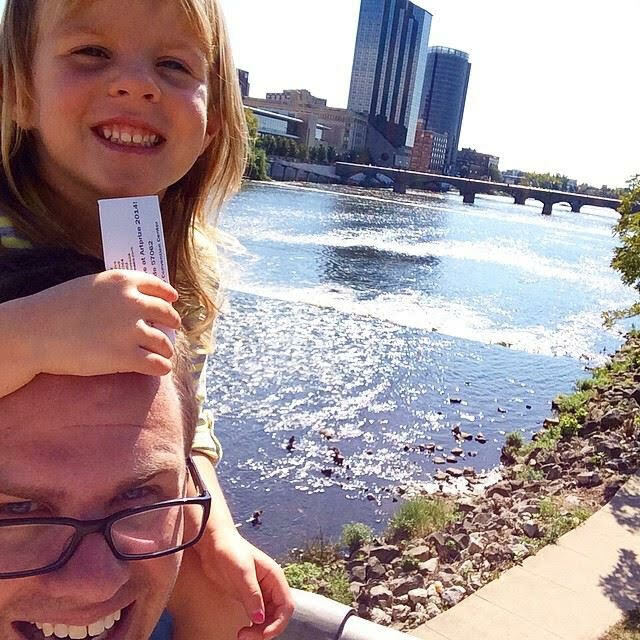 Downtown Grand Rapids is a year-round playground. There are several great restaurants and night spots. 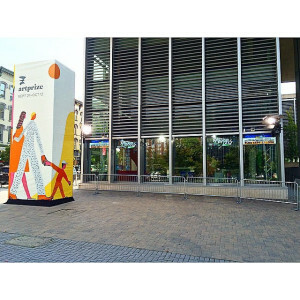 ArtPrize, the world’s largest art competition, has become my favorite event of the year. 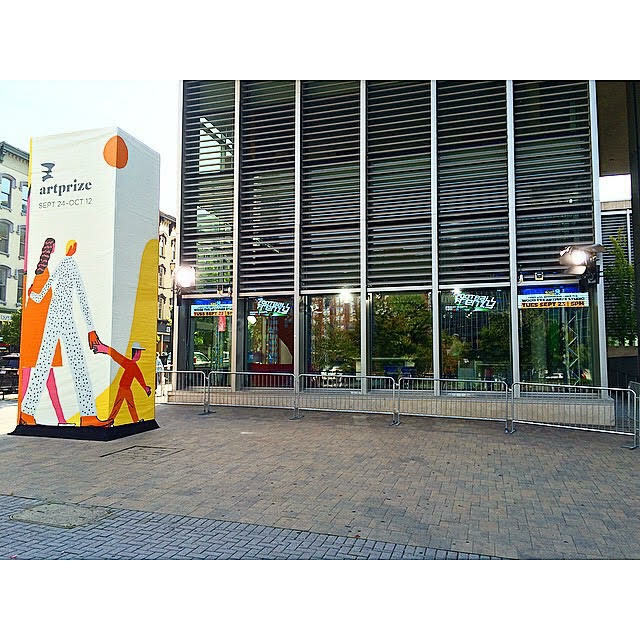 Each fall, hundreds of artists from around the world bring their artwork to Grand Rapids – and you get to vote on it. 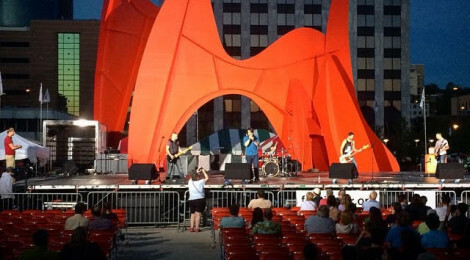 Each spring, Festival of the Arts combines two of my favorite things: food and music. 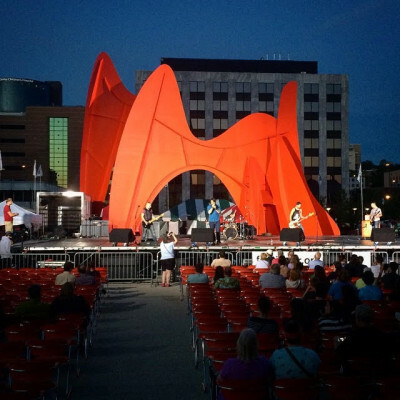 You can also take in a Griffins hockey game, Whitecaps baseball game or any type of concert you could imagine – from big names at Van Andel Arena, to the summer concert series at Meijer Gardens to great bands at The Intersection, Pyramid Scheme and The Orbit Room. 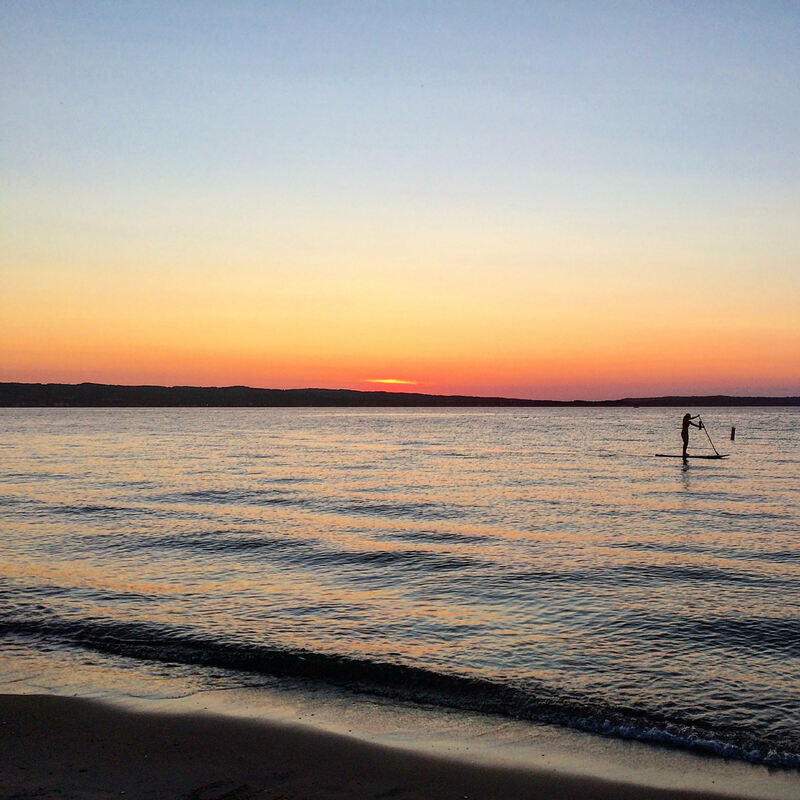 What I love about Traverse City is you can spend a week there and do something totally different each day. You can drive up the Old Mission and Leelanau peninsulas checking out top-notch wineries and spectacular views of the Grand Traverse Bay. You could easily spend a full day (or two) checking out the shops downtown. 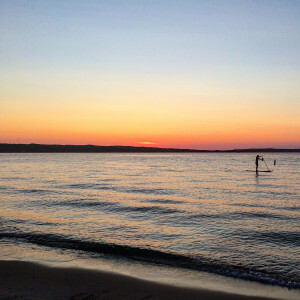 I’d also recommend bringing a kayak or boat to tour the Grand Traverse Bay and area rivers. If you have kids, Clinch Park near the city beach has an awesome splash pad and ropes climbing course for kids. Finally, there is no doubt in my mind that Traverse City has the best restaurants in the state. Eat sushi at Red Ginger, pizza at Pangea’s, breakfast at Patisserie Amie and you can start and end your day at Brew – a coffee shop/bar. 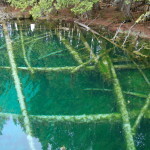 Even longtime Michigan residents have never heard of the Les Cheneaux Islands. I promise you they are Michigan’s best kept secret. The chain of 36 islands is located about 30 miles east of the Mackinac Bridge. They stick into the waters of Lake Huron just offshore from Hessel and Cedarville. The islands are only accessible by water, meaning you’ll need a boat or kayak to explore them. Some of the islands have homes, complete with boat houses that remind me of exclusive communities in the northeast. You can stay on the mainland or set-up camp on Government Island (federal land). A good time to go is the second Saturday of August when the largest antique wooden boat show in the world is held each year. A big thanks once again to Luke Stier of WOODTV for sharing his picks with us. All photos in this article were provided by Stier.